Bible verses based on the King James Version of the Bible. Children will love it! What a great way for your child to learn their ABCs. This booklet will provide hours of fun and the joy of learnong! 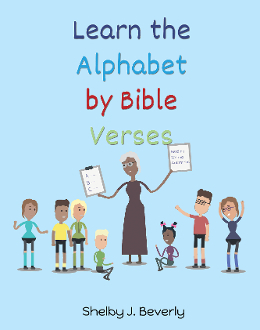 A caring mother helped her children grow as believers and in their understanding of scripture when she taught them their ABCs through memorizing Bible verses. This is an exciting and wonderful way for your children to learn their alphabet.